Well, Killing Eve started an online argument amongst television fans. However, the argument had nothing to do with the show, more how the show was delivered. The BBC shows Killing Eve weekly, live if you like, just as they would Line of Duty or The Bodyguard, but they also dumped the entire series on iPlayer from the start to be consumed in a binge like you might consume a Netflix show. The argument was why, and does doing both lead to the end of televised drama. If it had been Line of Duty or The Bodyguard, I’d have maybe understood the furore and got involved, researched both threads of opinion and come to my own conclusion. But this was Killing Eve, a show that played in the United States, Spain and Sweden in April. It went live in Canada and Russia in July and August respectively, and it was aired in France before the UK got to see it. 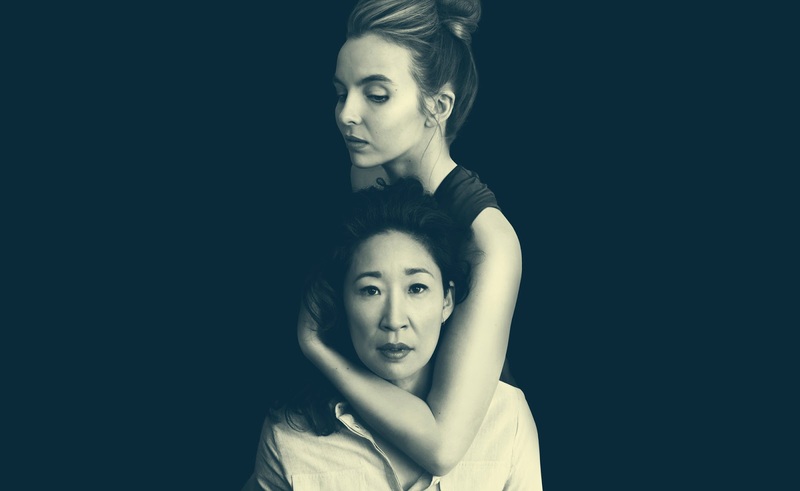 Spoilers were already out in the ether, awards for Sandra Oh, Jodie Comer, and Phoebe Waller-Bridge already being discussed in an open forum, so I’m not sure why fans of either side of the ‘best way to watch television’ argument picked this show to nail their colours to the mast with. However, they did. And they’re still doing it, and all it made me do was binge the entire series in one day to say if it was show a worthy of the argument. Yes, those who prefer I watch television weekly forced me to binge watch something I wasn’t even going to watch in the first place just to see what the fuss was about. I’m not sure how that helped their argument in any way but what I am certain about is the fact that I really enjoyed Killing Eve. The show's premise is basically “A security operative hunts for an assassin.” But, based on the Villanelle novellas by Luke Jennings (oh look, more ahead-of-transmission spoilers,) Killing Eve is a lot more than its premise suggests. Waller-Bridge, someone I only know from playing a droid in a Star Wars film, has shown me that there is a deep and complex writer in the world that can take an old and tired secret agent type genre and add a layer of intrigue and character to it, a humorous depth you don’t normally see, and tie the entire thing up in a brilliant dramatic bow. Killing Eve was the most refreshing Intelligence Service drama I’d seen since Spooks first aired and, in Sandra Oh and Jodie Comer, it had two protagonists that demanded screen time in a way I don’t think I’ve ever seen; I know I certainly haven’t supported two sides in a show like this ever before. Sandra Oh of Grey's Anatomy fame was always pretty impressive on screen but her performance of Eve Polastri sees the bar raised in drama performances. She had to play boredom, passion, confusion, anxiety, determination and secretive, often all at the same time, and convince as both a government operative and as a wife to a husband (Owen McDonnell) who didn’t really understand the danger she was in and seeking until it was almost too late. Many stars of network television have stepped up to true dramatic roles in the past but very few have nailed it like Sandra Oh just did. There’s no point in having a quality performance like Oh’s though without that foil of opposition, the person it is all about, in this case Villanelle, with Jodie Comer playing the role of Russian assassin extraordinaire. I’d seen Comer in a couple of things in the past, Rillington Place and Doctor Foster spring immediately to mind, but there’s nothing in her previous performances that points to her portrayal of Villanelle. I was left with the same feeling I had after seeing Heath Ledger play The Joker, Comer’s performance surprised and pleased me that much. Her action scenes were great, her chemistry with her handler (Kim Bodnier) was spot on, but there was a gleeful and almost childlike edge to her insanity that not many actors could get right. Comer absolutely did. I was drawn to her every time she was on screen, frightened I might miss something she did, or said, or one of her little looks like I get from kids but never thought I’d see on the face of an assassin. The entire series is brilliantly written, simple and yet complex, funny and yet deadly serious and a fantastic showcase for the top two stars to shine. When you add in the second tier cast and see such luminaries as Fiona Shaw, Darren Boyd, David Haig, Sean Delaney, and Kirby Howell-Baptiste you get a real sense of how well this entire show is put together. It didn’t settle the argument of binge over live but it did prove that to me it doesn’t really matter how you consume your drama because, as long as good shows like this get consumed, the golden age of television will continue.